Posted on 2, April 2018 by EuropaWire PR Editors | This entry was posted in Belgium, Defence, European Union, Government, International Trade, Media, Netherlands, News, Non Profit, Politics, Religion, Security & Safety, Slovakia, Society and tagged A FUTURE FOR DEMOCRACY IN SYRIA, Afrin, autonomous region, Branislav Skripek, Christians, Conference, DAESH, decision makers, democratic Federation of Northern Syria, DFNS, ethnic tolerance, European Parliament, gender equality, high-level conference, ISIS, Johannes de Jong, Kurdish, Mr. Sanahrib Barsom, Northern Syria, politicians, reconciliation, reconstruction, refugees, religious tolerance, Rojava, SDF, SECURITY, self-defence, speakers, sustainable ecology, SYRIA, Syrian Democratic Forces, Terrorism, Turkey, Yezidi. Bookmark the permalink. 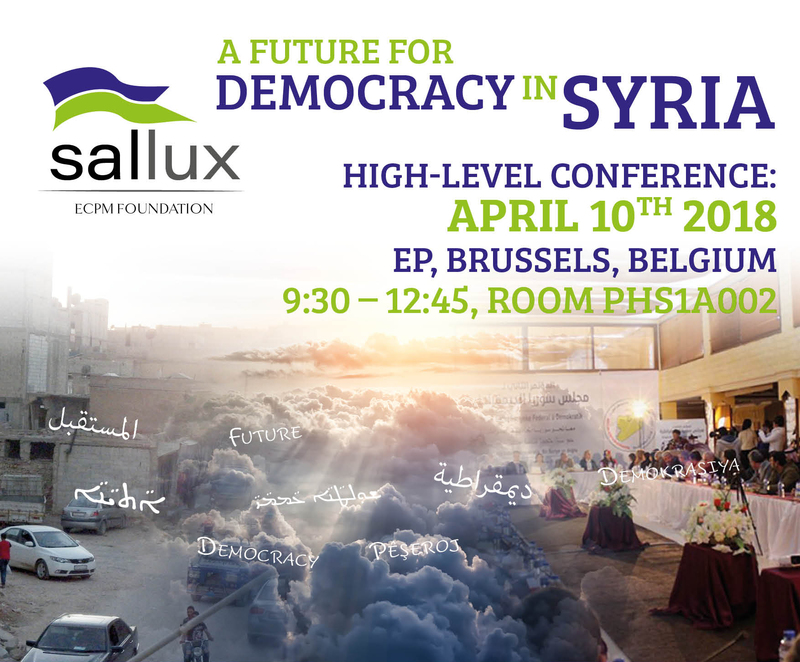 AMERSFOORT, 02-Apr-2018 — /EuropaWire/ — WIth this high level conference, we would like to present to Europe and European decision makers, politicians and media the Official Delegation of the Democratic Federation of Northern Syria (DFNS) The Delegation is headed by the Co-President of the Federation, Mr. Sanahrib Barsom.